We hope you all had a great Christmas! Now that all your Christmas pudding has been eaten you still have New Year celebrations to look forward to. Here at Clare Florist have a great range of Flowers which are perfect for celebrating the new year and decorating your home for the start of the new year. Our Sunny Smiles bouquet is a charming bouquet that is perfect for bringing in the New Year. Made with combination of happy Sunflowers, pink germinis, hypericum, alstroemeria and pink roses upon green foliage, this luxurious bouquet is perfect for decorating your home this new year. This bouquet is almost like a miniature firework display with its bright colours and warm tone, and the flowers can be easily stored within your glass vase for placing on your table. 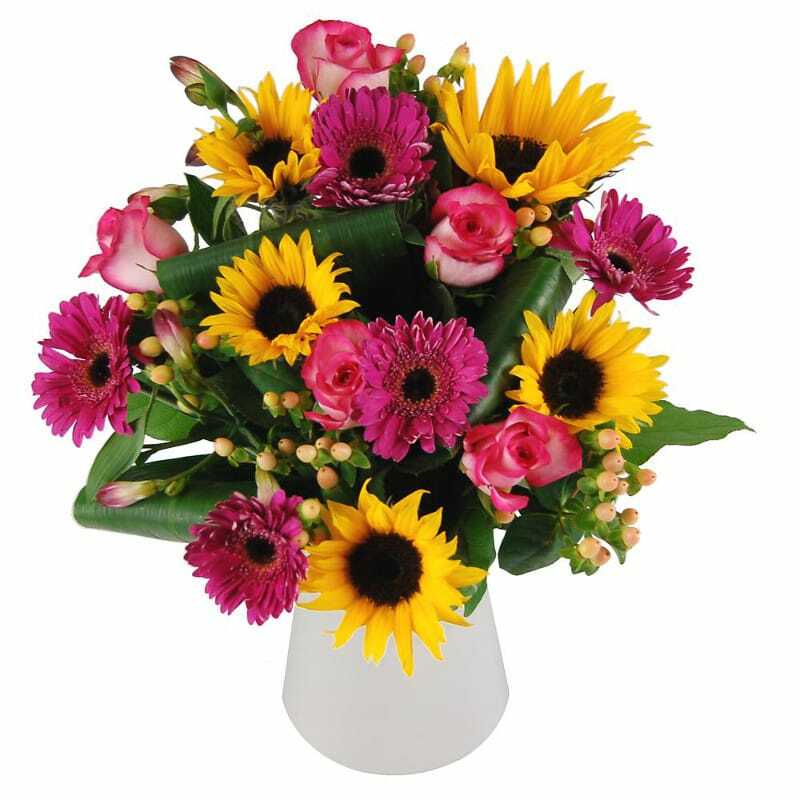 Another bouquet that is great for showing off in your room is our Winter Sunshine Bouquet. 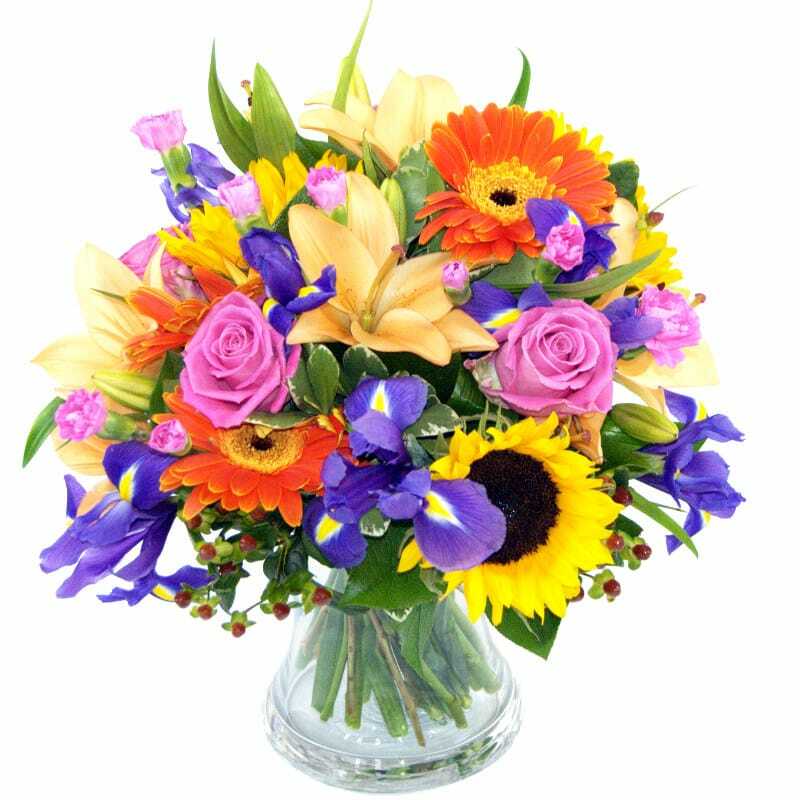 This gorgeous bouquet has a wide array of colours including yellows, oranges and pinks, and adds a bright, dazzling display to your room. This bouquet is made up of bright gerbera, scented lilies, pink roses and long lasting santini amongst many other colourful flowers for a stunning display. Both of these bouquets are available with next day deliver included, and you also have the option of including a box of chocolates or a handwritten card with your flowers as an extra treat.